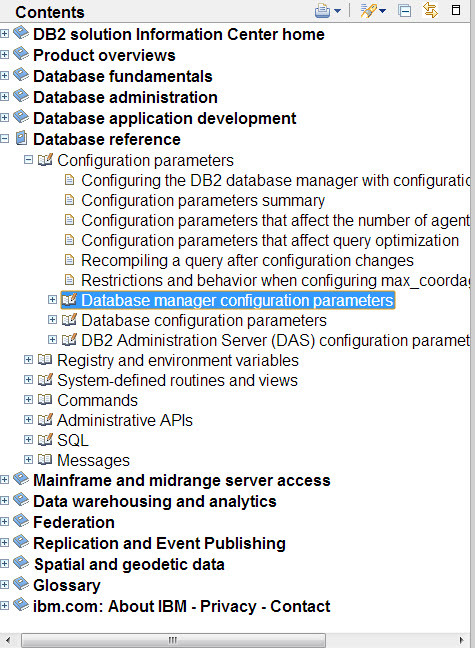 Says what config file this parameter can be found in – database or database manager. Specifies whether this parameter applies to servers or clients, and what kinds. Includes information on partitioning. This section is a critical one. It if it simply says “configurable” then a database or database manager recycle is required for any changes to take effect. If it instead includes the word “online”, the parameter can be changed online. This is the most frequent information I need from a parameter page. Specifies the default and the range or possible values. If defaults or possible ranges are different for different bit-widths or operating systems, that is specified here. Specifies what unit the setting for this parameter is in. Pages is a common one. Seconds, milliseconds, and other units are possible. Tells you when the heap(if any) associated with this parameter is allocated – at instance start, database connect, or other boundary. This may also help you understand when online changes take effect. Tells you when the heap(if any) associated with this parameter is freed – important in understanding DB2 memory usage. A long description of the parameter, including tuning recommendations. 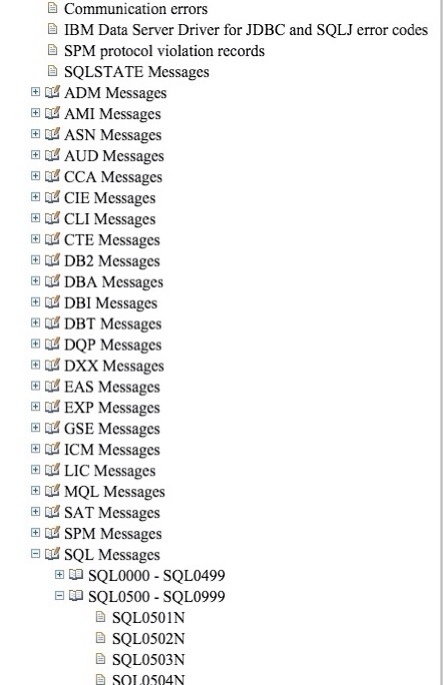 May also include details on how to monitor this heap. 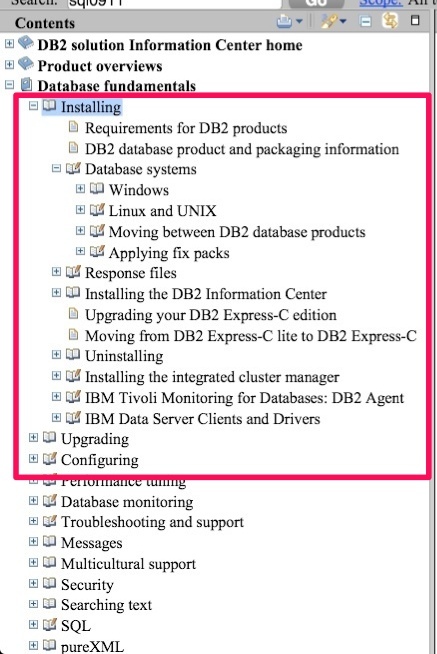 Excellent recommendations on other relevant IBM DB2 Information Center Pages. It is sometimes amazing the detail and pruning recommendations on the IBM DB2 Information Center pages. Whenever I'm considering a change, I go and read the relevant parameter pages to see if there's anything I'm missing. How could we troubleshoot without the message reference? 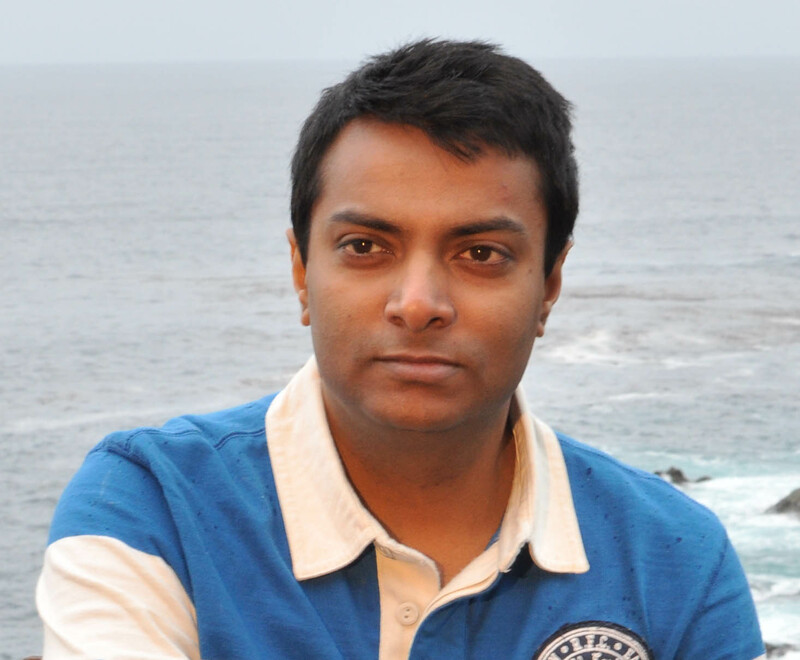 I do use the command line a fair amount to pull up message information – “db2 ? SQL0911” will give you a lot of the same information as what is in the IBM DB2 Information Center. But it can sometimes be easier to read in the IBM DB2 Information Center, and may have links to other useful information. Additionally, it is easy to send a link to someone else who wants to see the information. 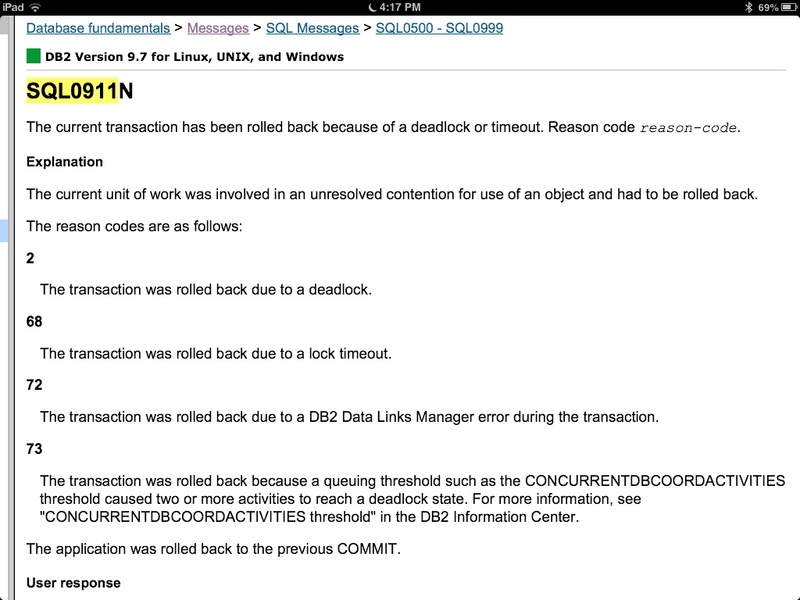 This area in the IBM DB2 Information Center can be accessed through Database fundamentals -> Messages, or you can search on an SQL error code to get the code for a specific page. I find that by far, the SQL messages are the ones I look at the most and are the most useful. Following the example set by other areas, these pages also have a standard layout and standard sections to make following them easier. Each page has a name that is the text of the error code name – in this case, SQL0911N. Note that for SQL codes, the trailing letter can give you some idea of the severity or impcact of the error. Generally 'W' means warning – the command still executed, but with some issue that may or may not cause unexpected results. 'N' is an error that indicates the command did not fully execute, but that further statements executed on the same connection and any other connections may not be impacted. 'C' indicates a system level error and it is likely that other connections are affected as well. There are exceptions to these rules, but they can give you a general idea if you're not familiar with the error code. This is the exact text of the error as it would have been returned to the application, whether the application retained the full text or not. 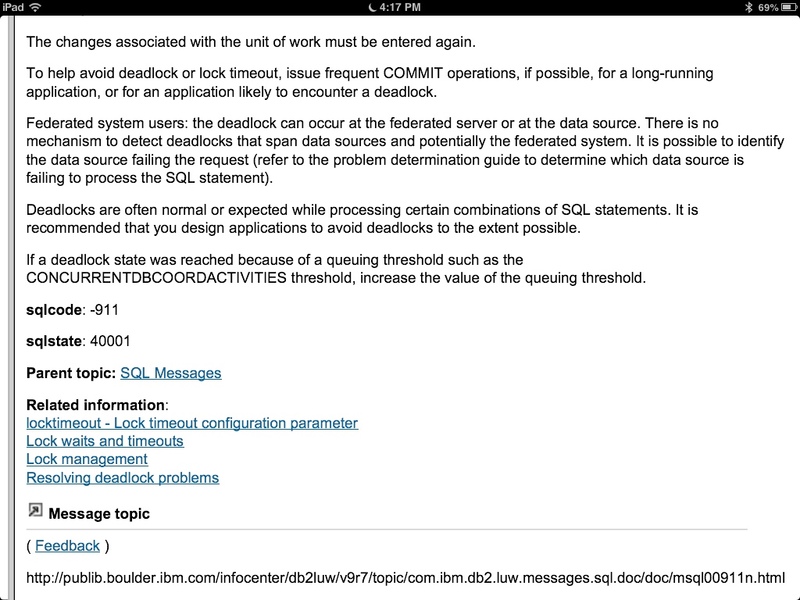 There may be situation-specific variables that cannot be in the IBM DB2 Info Center – return codes, object names, etc. Further description of this error code. If this error code includes return codes, all possible return codes and their meanings should be listed. It is important when troubleshooting to note return/reason codes since there can be some significantly different meanings of the same error code depending on the return/reason code. A negative number that is the same as the name of the error code. Negative for warnings or errors, positive for success. I get the feeling that some other Relational DataBase Management Systems may rely more on the sqlstate. I find it largely useless for DB2. Here's the section that makes me want to use the IBM DB2 Information Center instead of the command line. It includes links to helpful information and parameters related to this error message. Sometimes there is some really good information here. 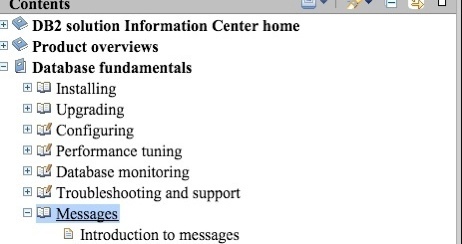 This really covers everyting under three sections under “Database fundamentals”. It includes Installing, Upgrading, and Configuring. This is one area that is less of a standard template page, but has a lot of important information, especially for the bulk of DBAs who don't do a lot of build work. Here you'll find such jems as the Hardware and OS requirements for installing DB2, how to use a response file, how to uninstall DB2, how to deal with license files, and how to plan and execute an upgrade properly. Even if you've been a DBA for a while, there are useful areas in here. I could install or uninstall on Linux, UNIX, or Windows in my sleep. However, I would be visiting this area for an upgrade, because I very rarely get to do those. 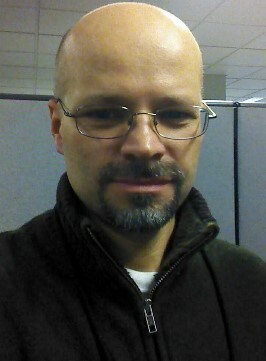 I had been a DBA for years before I ever had to unistall it, but now can (and have!) walk a non-DBA though how to do it on the phone at midnight. I have made extensive use of a local copy of the IBM DB2 Information Center – some of my clients have excessive restrictions on internet acess for contractors that makes getting to the online copy difficult. Other times, it seems it goes offline just when you need it most. Overall, it is a critical skill for any DBA to be able to use the IBM DB2 Information Center properly. Experienced DBAs know how to find what they need. I sometimes wonder if access to the IBM DB2 Information Center should be allowed during Certification tests. If you don't know DB2 and the IBM DB2 Information center well, you'd never pass the test in time, and if you are a DBA, you don't have the whole thing memorized. this is the first blog entry I've written nearly completely on my iPad. The iPad I won from DBI software on the DB2's Got Talent competition. I finally got a bluetooth keyboard, and a colleague pointed out Blogsy to me, and I'm loving it. I was actually able to get all of the screen shots I needed for the IBM DB2 Information Center locally – so I'm feeling the IBM DB2 Information Center on the iPad more, though I still cannot stand it on a 4″ or even 7″ screen.